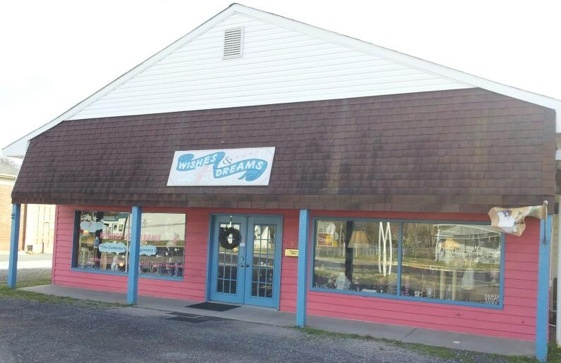 Wishes and Dreams is a really classy shop on Colonial Ave. with tons of home decor items as well as great accessories and gifts. One of my favorite areas is the "kitchen room" full of pitchers, plates, cups, serving dishes and all other types of kitchen gadgets and accessories. 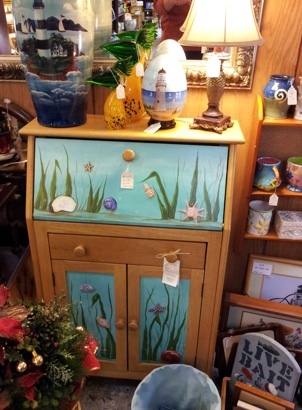 Another one of my favorite parts of the store are the beautifully painted dressers and cabinets by local artist Connie Ihlenfeld. Just take a gander at her awesome pieces! According to a tag attached to the furniture pieces, Connie can be reached at 804-224-2262. 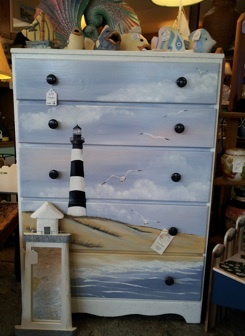 There was a gorgeous step-stool she painted that would have been perfect at the side of my bed. I should have bought it when I saw it, because when I returned to the shop to purchase it, it was no longer there. Say hello to owners Pat and Gary Ralston here, and enjoy a great shopping experience! Plan on spending some time when you visit, because there is so much to see. 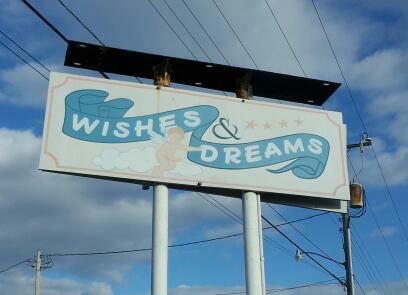 Wishes and Dreams "The Collector's Consignment Shop"